Thanks for giving me your email! Thank you for giving me your email! I’m a man of my word, so here is the link to the game dev community I kept talking about. 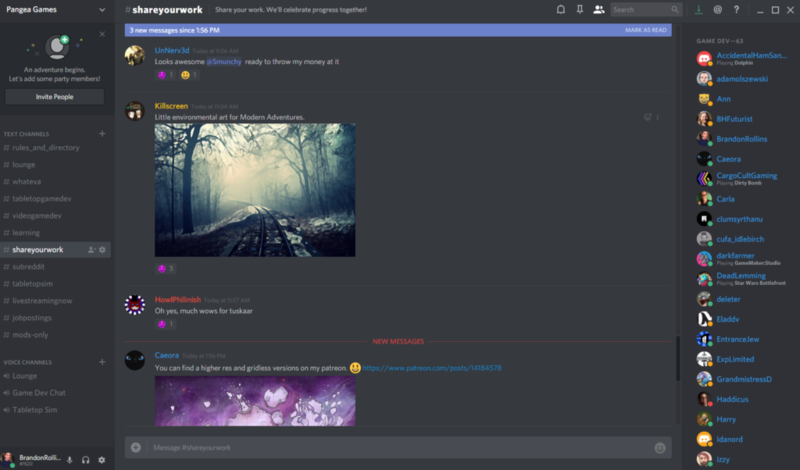 Set up account on Discord. It’s a free program available for desktop, mobile, and browser. Email me at brandon@pangeagamescompany.com if that link gives you any trouble.